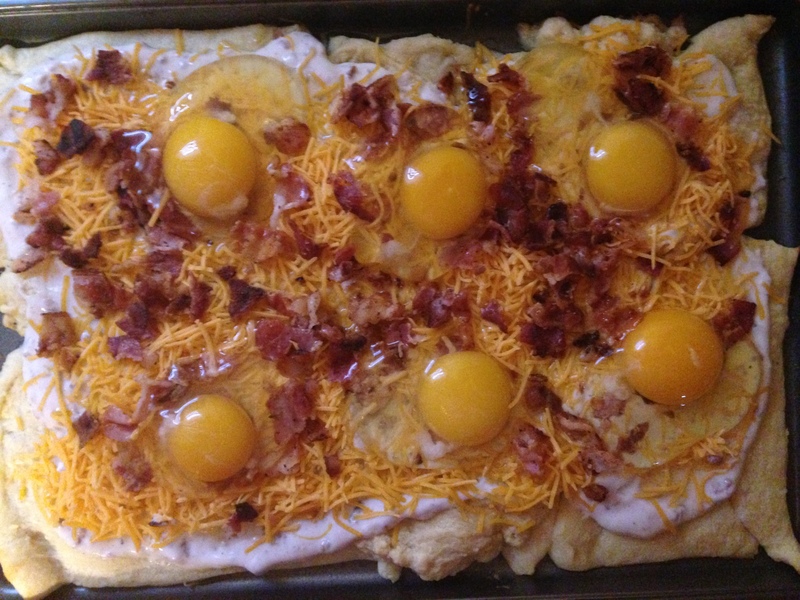 I’ve been perusing Pinterest lately and came across a few recipes for breakfast pizza. 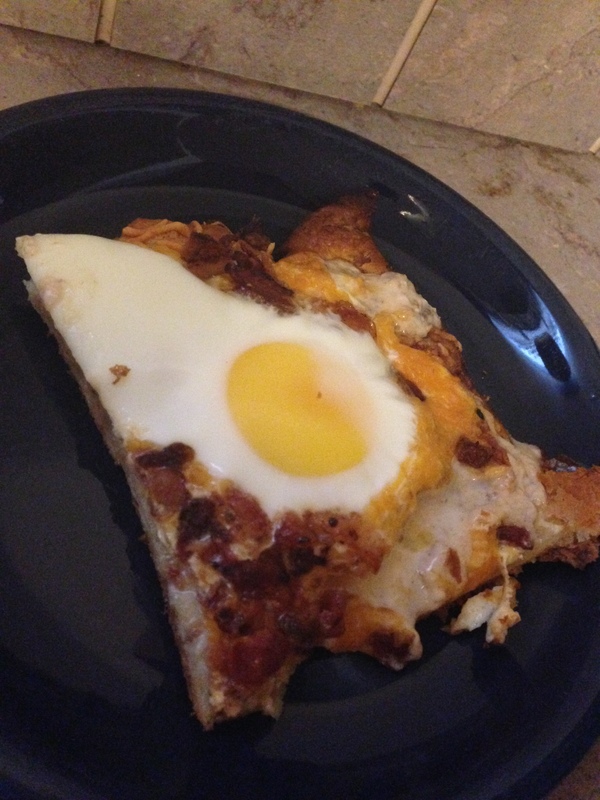 It got me thinking about the breakfast pizza in our cafeteria when I was in grade school. 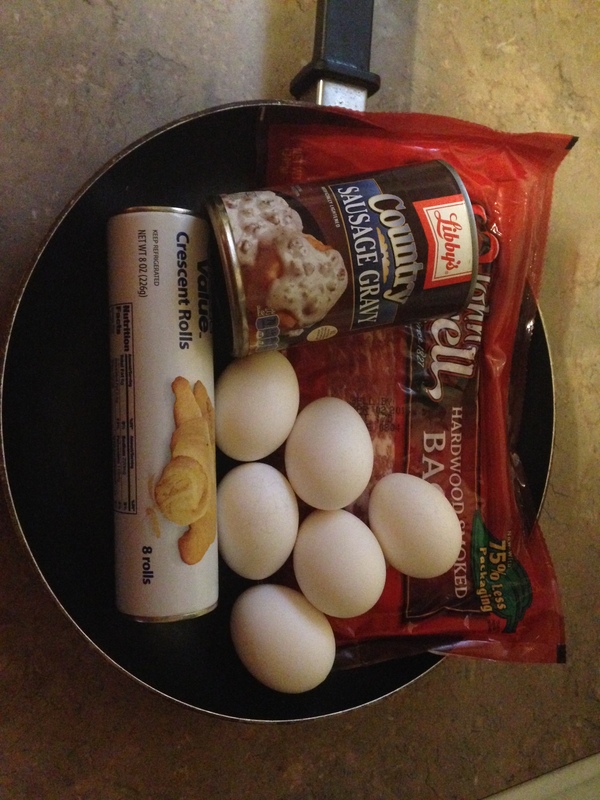 It probably isn’t served anymore…don’t get me started… Anyway, I found a few recipes and decided to give it a go. I gave it my own twist to pay homage to the cafeteria ladies of yore. And here we go! 2. Fry your bacon. I used really cheap bacon because I knew it was sliced thin. 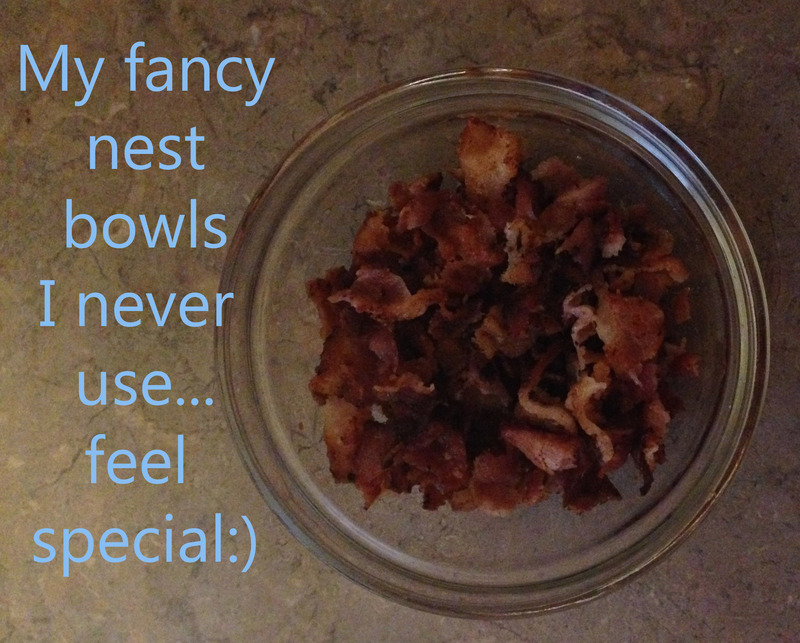 I wanted to crumble my bacon all over the top, so using the cheaper stuff was the way to go. 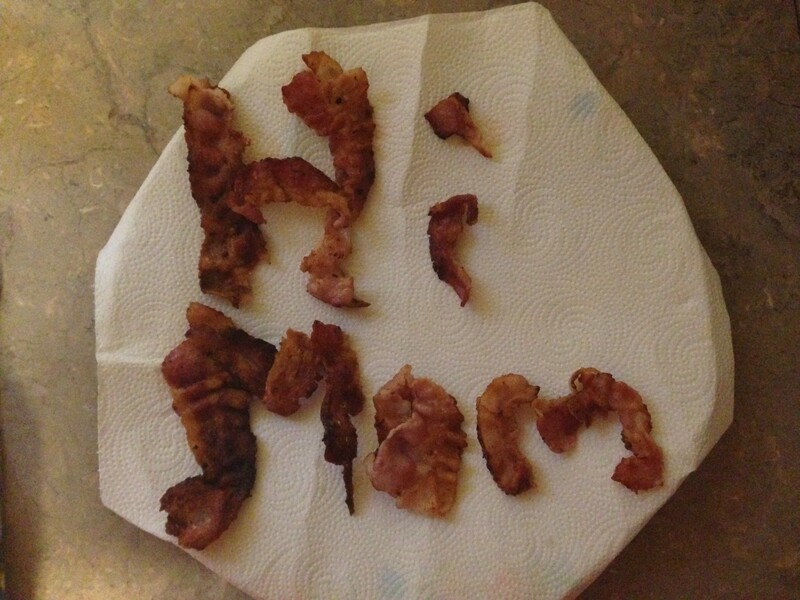 Once you are done frying, create a shout out to your Mom and then crumble your bacon into tiny little bits. 3. When the crust comes out, spread the gravy over the top, leaving about an inch edge around the perimeter. 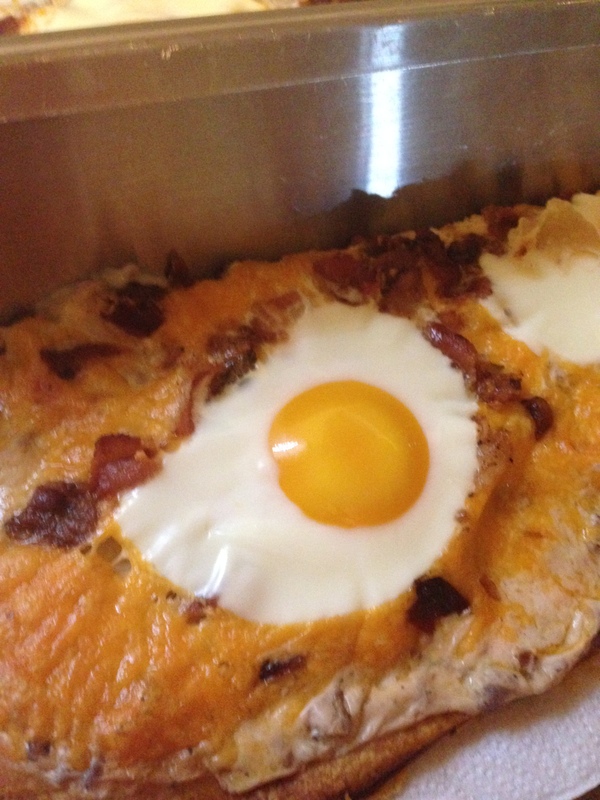 Top with cheese, bacon and eggs. Bake for 12-14 minutes.